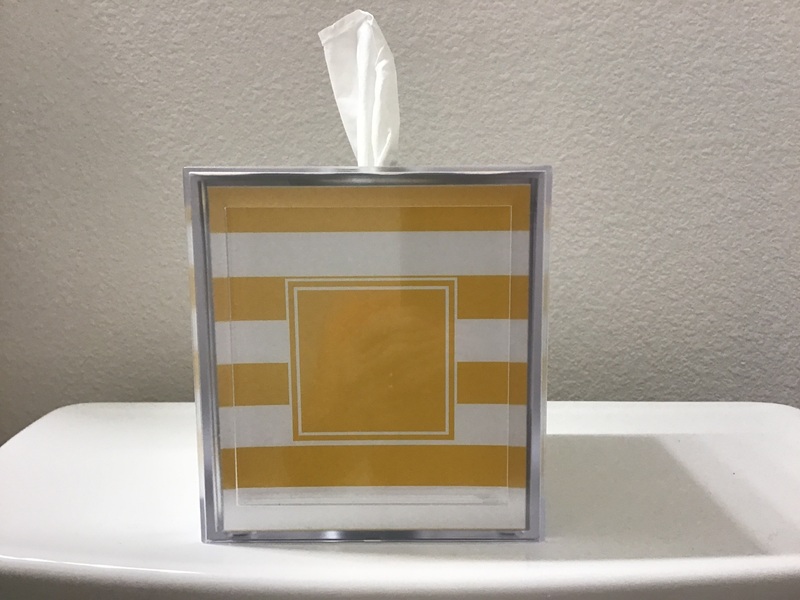 Our personalized tissue box covers are a simple way to spruce up boring tissue boxes and add a little bling to any bedroom, bathroom, or even office!! These modern style boxes are made of durable acrylic, with your designed inserts (printed on premium gloss media) on all four sides, as well as the top. They easily fit a 5" x 5" square box of tissues. 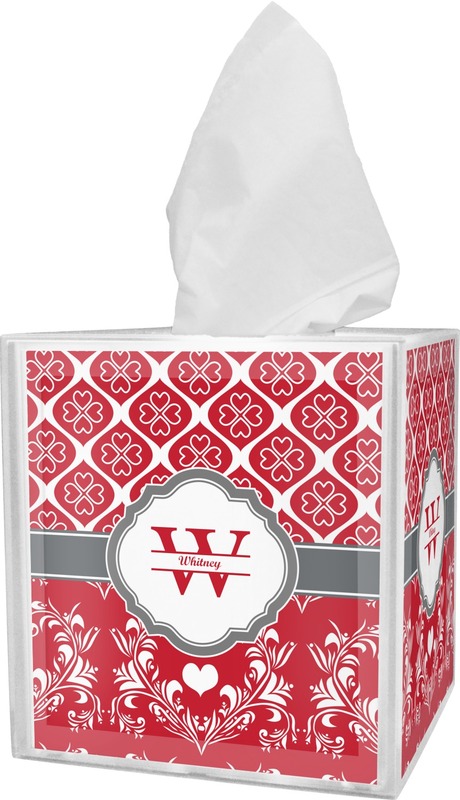 Four small non-slip pads ensure no scuffing on whatever surface you decide to keep your tissue box. The tissue box covers have two pieces, which makes switching out tissue boxes easy. You simply pull the top apart from the bottom (hold by top and bottom openings) to open the box, place your tissues inside, and slide the top back on until it clicks back into place. 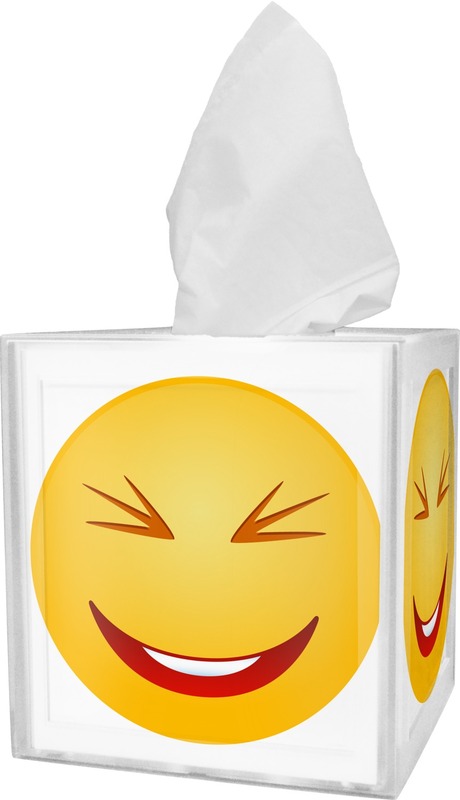 If you need to wash or dust your tissue box cover, simply wipe with a damp cloth. 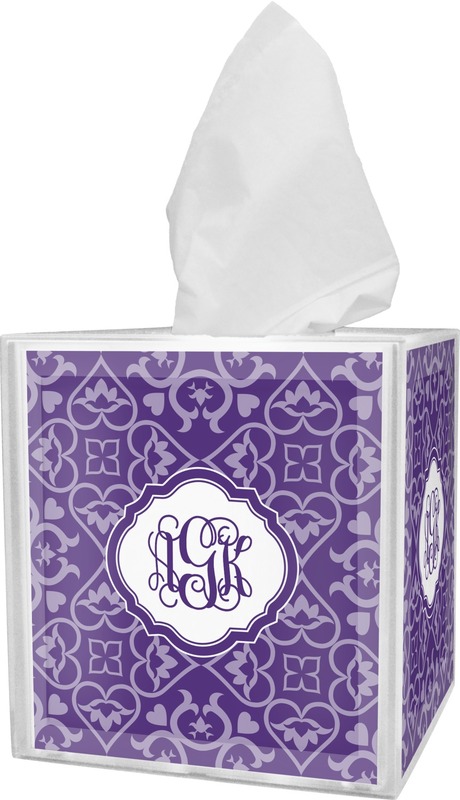 You can personalize your tissue box cover with one design for each side or even create different designs for all four sides! Get creative as you search through our thousands of design elements to choose from. Pick fun graphics, ribbons, or fonts. You can even upload your own artwork! Go have fun! Give us a holler if you ever need any help in our design center. We are always happy to help. Decorating your whole bathroom? Be sure to browse through our Bathroom section where you'll find cute bath towels and foam bath mats! Very cute box, nothing fancy. Made of a hard plastic. For the price is nice. I love it. 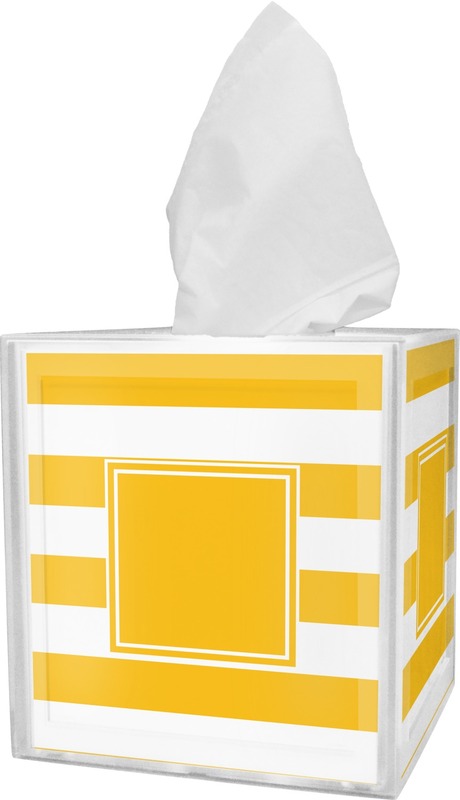 Very happy with the customized tissue box. Like the fact you can pick out your home decor colors. Must order more. Great gifts. The tissue box cover is exactly what I wanted, and at a reasonable price! I couldnt find one in yellow so I tried the do it yourself approach, and it turned out fantastic. The box is sturdy, well made and has rubber pads on the bottom. Also, I received the product in just a couple of days. I would recommend youcustomizeit as a great way to go!! PS...........I love the color, too. 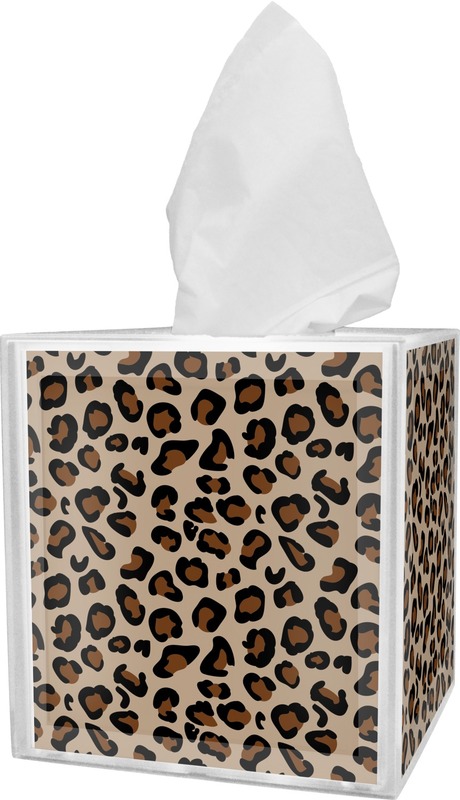 Should come with instructions on how to put the tissue box inside.